There is a good chance that you may have noticed that some currency pairs move in a very interconnected way. This may be that as one currency pair rises, so does another. Or, on the other hand, you might have noticed that as one currency pair advances, another decline. If you have noticed this, then you have witnessed currency correlation. If not, no worries, keep reading and hopefully it will all become clear. So just to recap a currency correlation is a relationship between two currency pairs. In other words, the two currency pairs move in relation to one another. This could be in the same direction, or the opposite direction. If your intention is to only ever trade one currency pair at a time, then currency correlations are not important. However, very few forex traders will only have one position running at any given time. The more experience you gain, the more likely that you will run multiple positions. 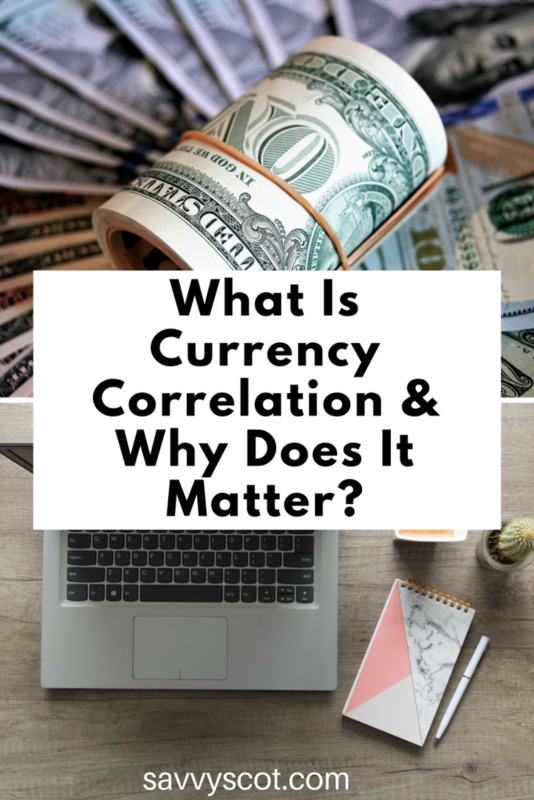 If you trade two currencies that are strongly correlated at the same time, you are actually significantly increasing the amount of risk that your account as a whole is exposed to. This means that trading multiple pairs in your trading account, without knowing the correlations between them could potential wipe you out. This basically tells us how correlated the two currencies are. The scale runs from -1 to 1. Where 1 means the two pairs are perfectly correlated and always mirror each other exactly. 0 means the is no correlation at all. -1 means the pairs are perfectly inversely correlated, so when one moves higher, the other moves lower. This information is often found in a correlation table over multiple time frames. For example, EUR/USD has a correlation of 0.94 to GBP/USD over 1 week. If you pull up a chart you will see a very similar pattern between the two pairs. If you traded both the EUR/USD and the GBP/USD in the same direction over a week’s period, you would actually be doubling up on your risk within that period. This would be the same as just taking the EU/USD position but doubling your stake size – not something you would do intentionally. Should you go long EUR/USD short GBP/USD don’t be fooled into thinking these will net out to 0. It is actually counterproductive, particularly given that you are paying both spreads. Another example could be EUR/USD and USD/CHF. These pairs have a coefficient of -1 over 1 week. This means that they move purely inversely to each other. As EUR/USD moves higher, CHF/USD moves lower. In this case if you sell EUR/USD and buy CHF/USD you are effectively doubling up on your trade, which once again means double the risk. Meanwhile buying both or selling both at the same time would also be a costly waste of time. Instead look for currency correlation coefficients which are close to 0. By trading these pairs, you will be diversifying risk on your account.